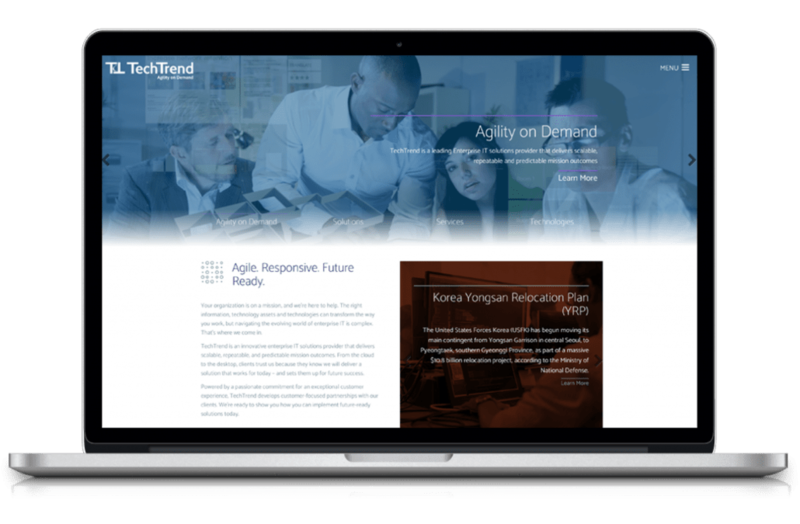 TechTrend helps customers achieve success today and address future needs through advisory services in cloud computing, IT engineering, cyber security, and mobile enablement, as well as innovation in designing, developing, and implementing solutions. And as an end-to-end partner, it provides reliable and rapid access to commercial technologies through preferred contract vehicles and business partners. Earlier this year, TechTrend selected and engaged the Borenstein Group, its trusted branding partner, to create a new look and feel that will reflect the firm’s expansion and the addition of secure cloud migration using Microsoft Azure and Amazon’s AWS along with the infusion of business intelligence analytics that differentiates it from many systems integrators. With the trusted partnership of Borenstein Group, who worked in close collaboration with the corporate management team and principals, TechTrend has rehauled its overall brand with a new tagline, a new web site and the company’s print materials from corporate marketing collateral to case studies and proposal covers, helping it get ready to compete at the next level for larger opportunities, larger proposals, and larger projects. 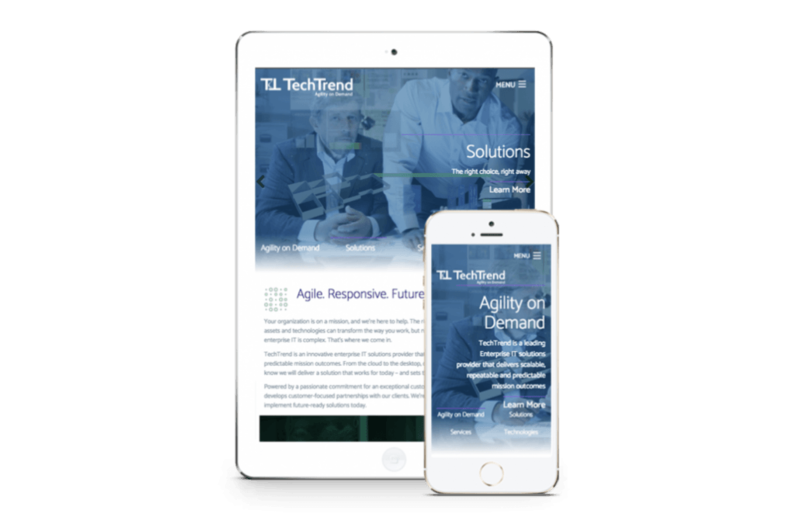 Positioning TechTrend as not only an innovative choice but as a safe choice for large enterprise IT decision-makers has enabled the firm to grow with confidence. In addition, it was recently announced that TechTrend had won the coveted Vega Centaury Awards for Best Web Site for Information Technology companies for its digital rebranding efforts. With over 1,100 submissions from 30 countries throughout the world, Vega Digital Awards is administered and judged by International Awards Associate (IAA) and a carefully selected panel of internationally-esteemed creative professionals. The Association oversees awards and recognition programs, provides judges and sets competition standards for excellence. But don’t take our agency’s word for it, watch TechTrend’s CEO describe the experience of working with the Borenstein Group.